If your morning/evening walk has taken you down Hudson Drive recently, you’ve probably noticed the house with a small white box planted in the front yard filled with books. Voice contributor John Becker noticed the box – labeled “The Little Public Library on Hudson” – a few weeks ago while walking his dog and posted about it on Facebook. Freelance writer and former AJC staffer Michelle Hiskey saw the post and ran with it. 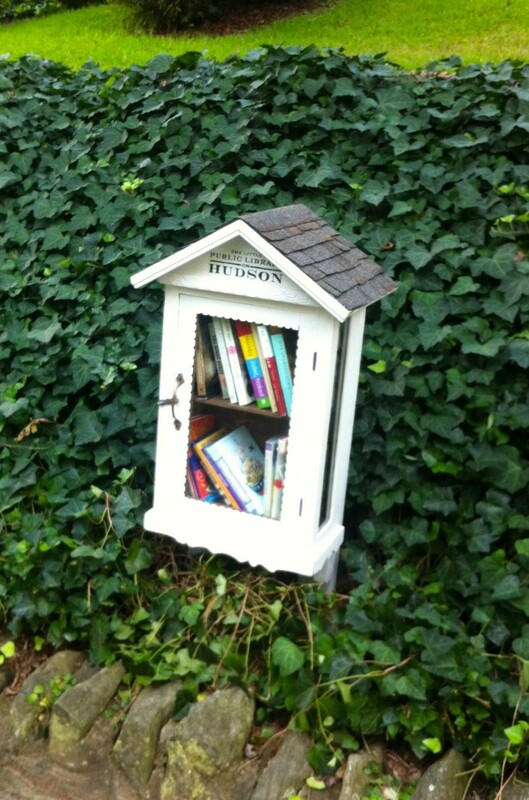 Here’s a link to Hiskey’s Saporta Report article on these fascinating little libraries. The Little Library on Hudson Drive is open for business - no card required! This entry was posted in news and tagged 2012, hudson, humaninterest by John Becker. Bookmark the permalink.